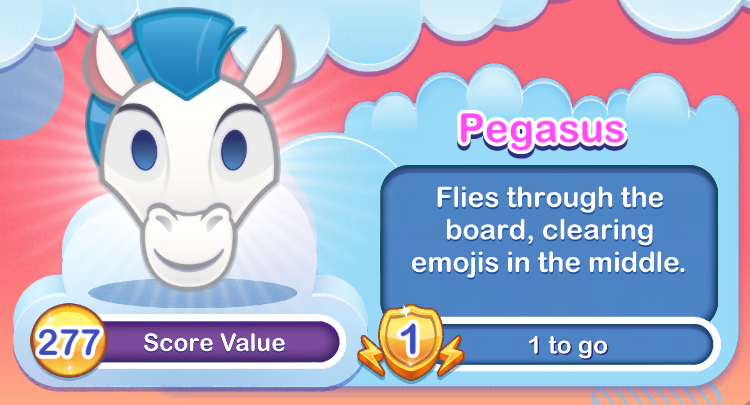 Smashes the sides of the board to clear emojis! 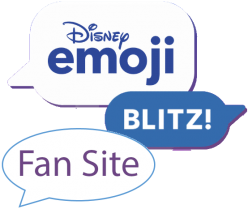 Who put the ‘glad’ in ‘gladiator‘? 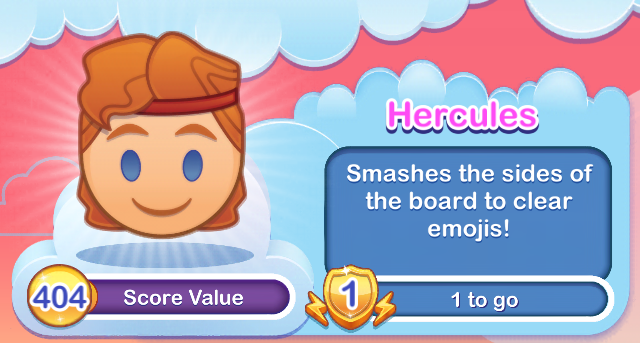 Hercules and his rippling pectorals crush columns at both sides of the board, knocking emojis out of the way. Will he impress Meg? 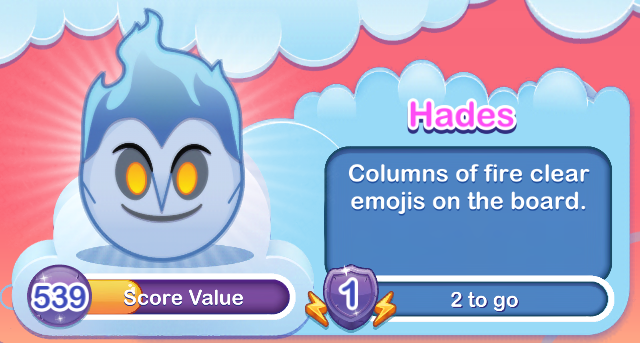 The Muses sing and clear other emojis on the top of the board. 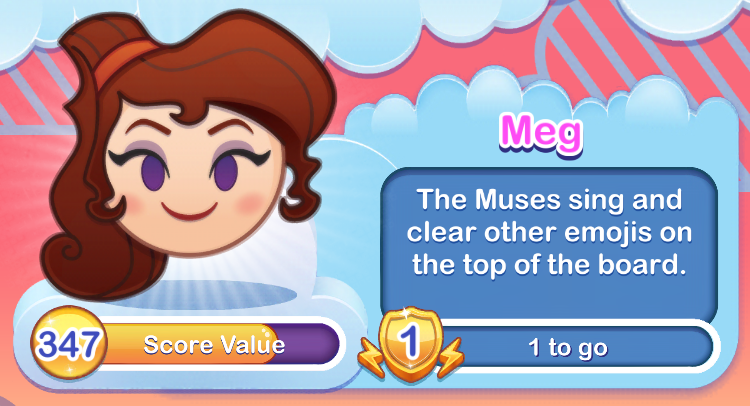 In a flourish of musical notes, the Muses appear and top help Megara clear some emojis off the board.